Many small business merchants and other large retail store managers either lack the awareness or training concerning state safety laws. In some cases, despite safety training, managers, employees and staff improperly implement safety protocol, placing customers at risk from unsafe conditions. In other instances, employees are not properly trained in implementing safety measures and protocols. There are many instances of lazy or negligent employees cutting corners and showing no concern for the safety of guests, invitees and consumers. A slip and fall in Rhode Island could be caused by water, mud, liquids, food, oil, gas, juice, salad bar food or any other types of liquids or substances. Insurance liability companies are reactionary by their very nature and spend little to no time training their insured’s to protect consumers from dangerous and unsafe conditions on their premises. Insurance companies are far more interested in documenting the accident or slip and fall, after the fact, in an attempt to discredit the liability claims then they are in preventing the mishap. Proper education and training certainly will not eradicate falls on commercial premises but would decrease the instances of accidents and falls at malls, big box stores, restaurants, stores and retail establishments. 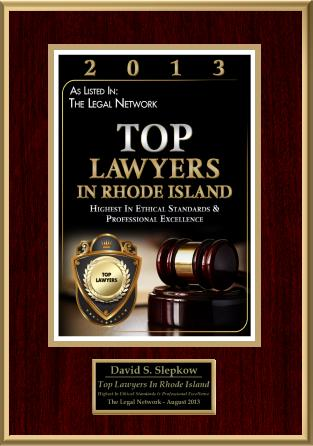 Insurance companies and large corporate entities in Rhode Island and Providence Plantations do little to protect consumers from injury but usually have established protocols to investigate any liability claims. 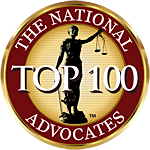 From the first moment after the accident, the business and insurance company goes into litigation mode attempting to discredit the negligence and damages allegations. Most companies will have extensive investigation protocol in place to immediately begin deny, defend and delay litigation games. The company will train their managers to lookout for the type of footwear worn by the victim. They will also document the lighting conditions, weather conditions if applicable and the condition of the floor. The employees will seek to get an immediate statement from RI slip and fall or premises liability victim. They will also seek to obtain recorded witness and victim statements before the slip and fall victim can obtain legal representation. The business will safeguard and catalog important evidence. Employees are carefully instructed not to admit fault, show remorse or take responsibility for the stores negligent conduct. A perfunctory request to call an ambulance by one or more employees or a cashier is usually made so that the store feels better about themselves as good corporate citizens. The management is not interested in the victim receiving medical treatment but hopes that he or she will deny treatment so they can later claim that the victim was not really injured as a result of the accident. A reasonable merchant should train his staff, employees and agents to inspect its premises in a reasonable manner and remedy any dangerous or defective conditions on the premises. Employees should inspect for spills, leaks and other liquid or food substance on the floor to prevent serious injury or death on the premises. 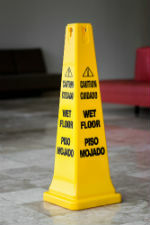 “According to a 2011 National Safety Council report, slips, trips and falls are one of the leading causes of unintentional injuries in the United States, accounting for approximately 8.9 million visits to the emergency department.” Premises Security Litigation by Thomas P. Anzelmo, Sr. Lorman reference manual (2011 NSC Injury Facts). 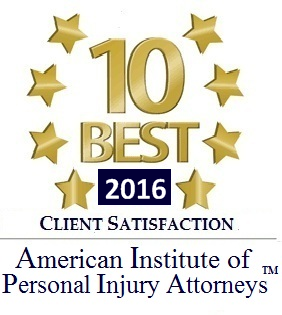 In order to obtain top compensation as a result of a slip and fall accident in RI, the injured victim should either retain a RI slip and fall lawyer or a Rhode Island personal injury attorney.